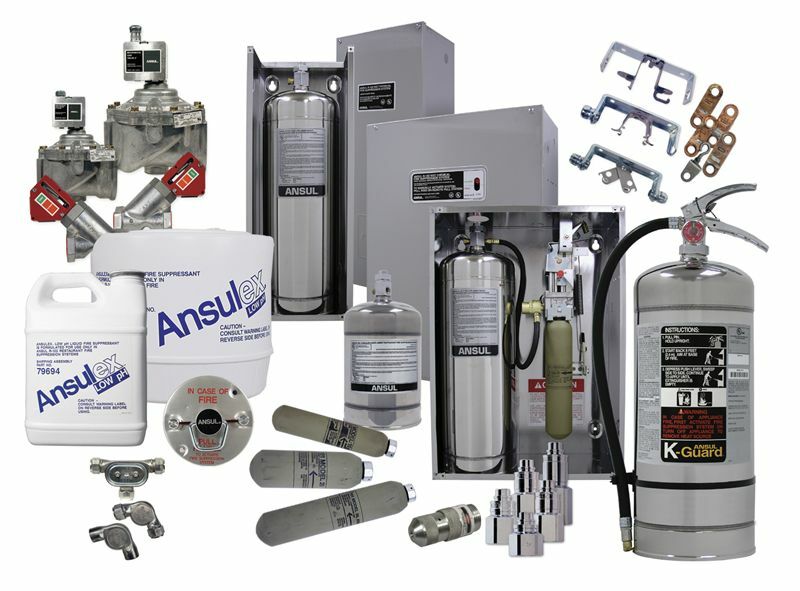 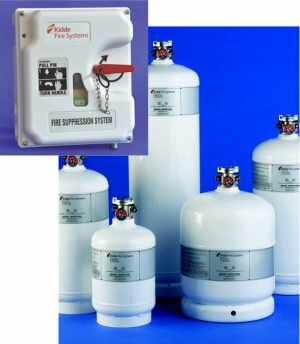 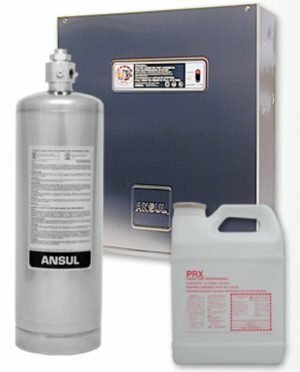 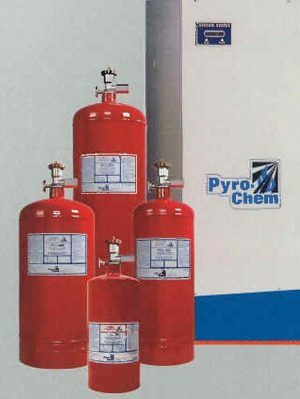 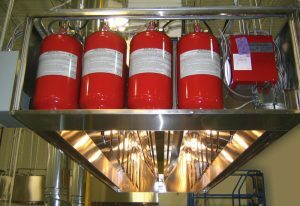 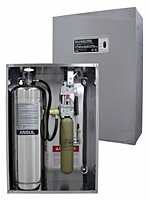 The R-102 Fire Suppression System incorporates a flexible design with an extremely effective ANSULEX Low pH Liquid Agent. 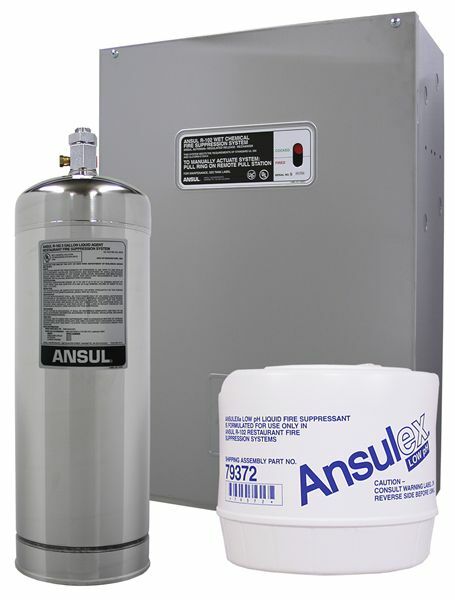 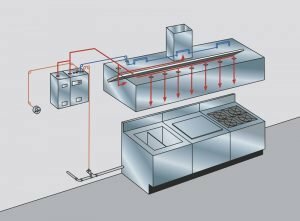 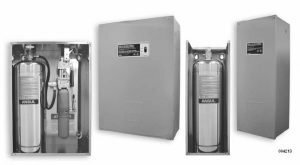 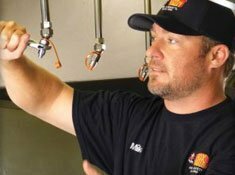 The R-102 system is designed to protect areas associated with ventilating equipment, including hoods, ducts, plenums, and filters. 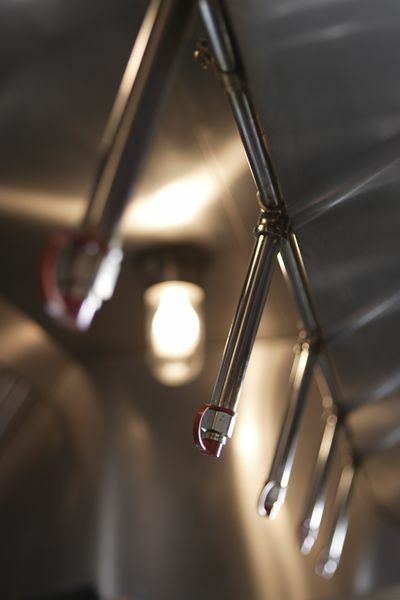 It also protects auxiliary grease extraction equipment and cooking equipment such as various types of fryers, griddles, range tops, broilers, char-broilers, and woks. 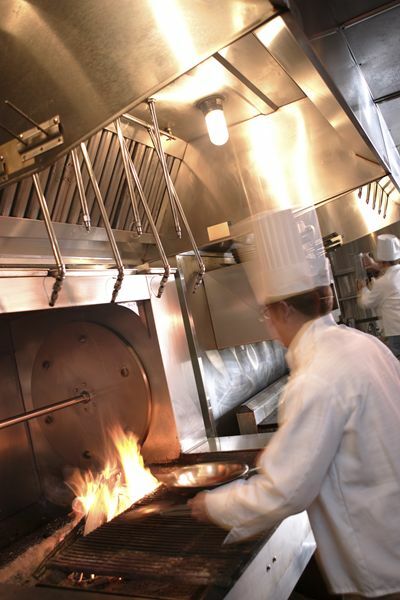 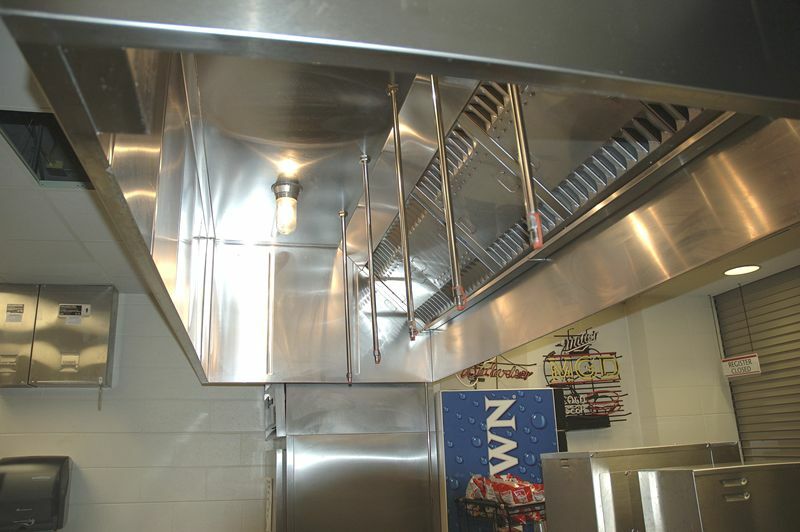 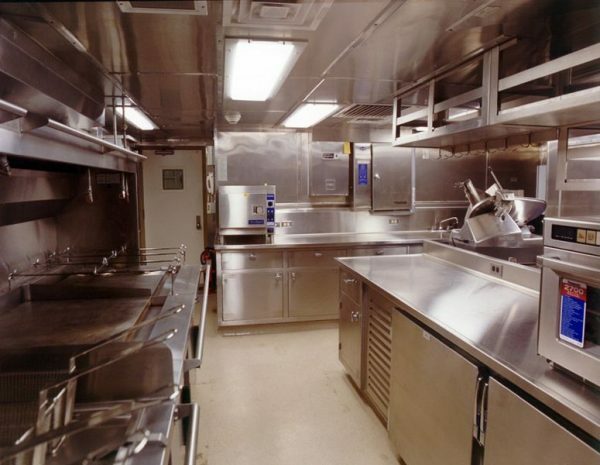 The R-102 system is ideally suited for commercial kitchens in fast food chains, retail food courts, diners, convenience stores, catering facilities, mobile food trucks, hotels and casinos, stadiums, schools, hospitals, and more.